It was my interest in “street photography” that caused me to pick up a stills camera again five years ago after a twenty year hiatus from taking photographs (in the 80’s and 90’s it was how I made a living – but that’s another story). 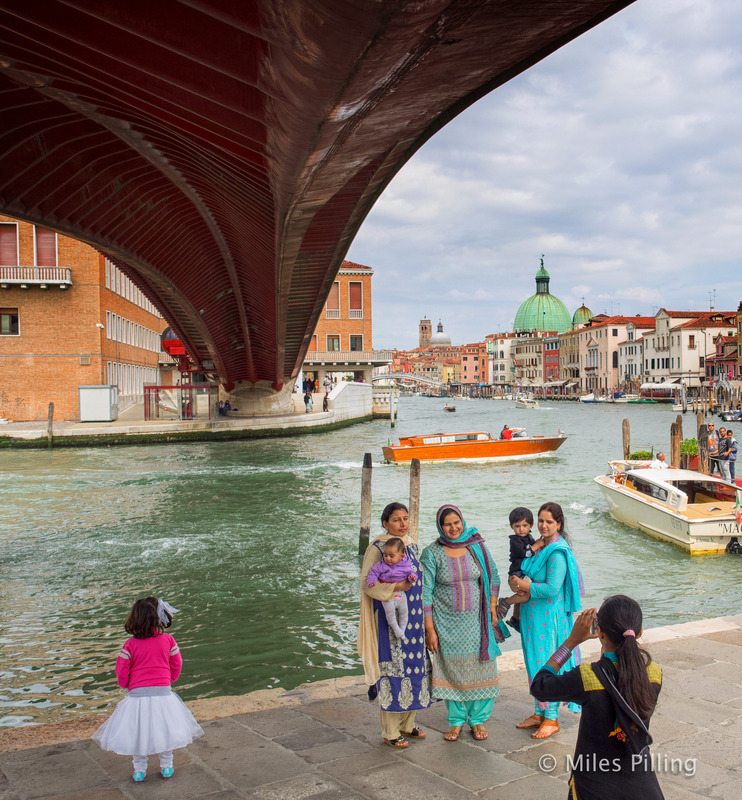 Even in a place as picturesque as Venice I can’t pass by a street photo opportunity. Here are a few “street” images that I captured in that wonderful city. In this first picture, I saw the colour and shape of the umbrella out of the corner of my eye, turned and instinctively took a shot. 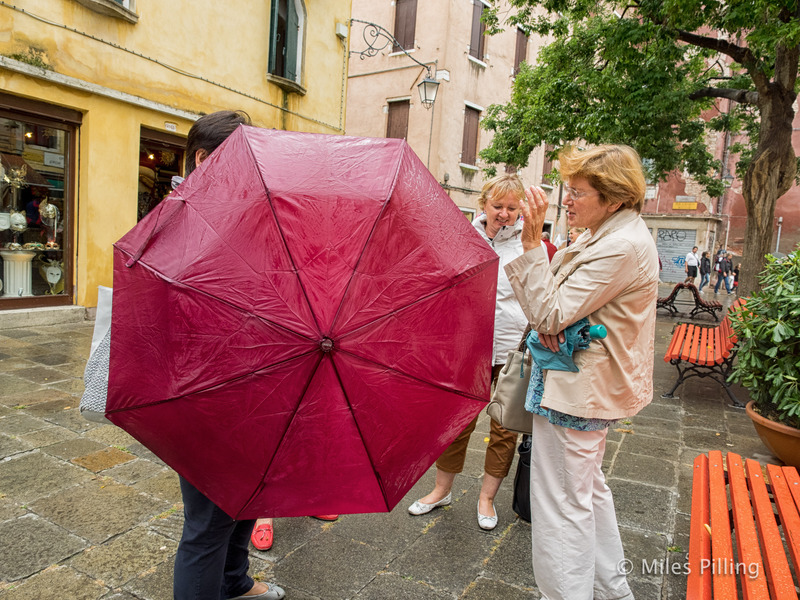 It seems to me that the umbrella is like a bouncing ball and the ladies are reacting to it. Here, I loved the natural frame lines, and the juxtaposition of windows and reflection created an interesting relationship between the four girls. The yellow stripes and yellow t-shirts also caught my eye. I was taking a candid of this colourful group photograph when the little girl in red decided she’d had enough and stepped away. The contrast of her pink top with the greens in the picture; her frilly skirt and that she has her back to us whilst seemingly lost in daydreams makes it for me. 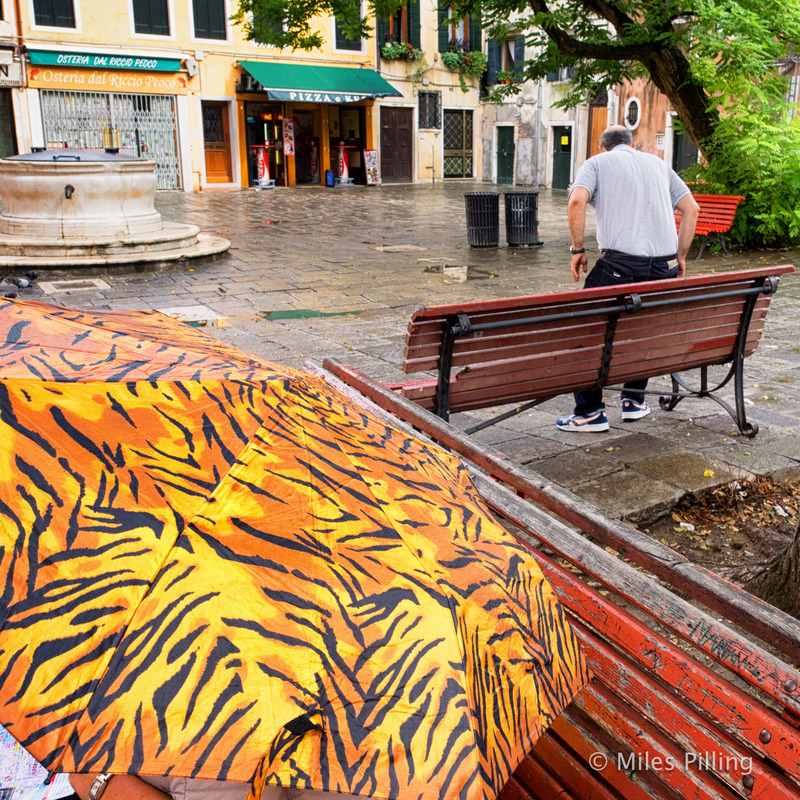 A “street” photograph should really have a spontaneous element – I was photographing the zigzagging lines of the seats and the tiger skin umbrella when a man sat down and got up again very quickly with a wet backside! For this one, I needed the right person to walk past. 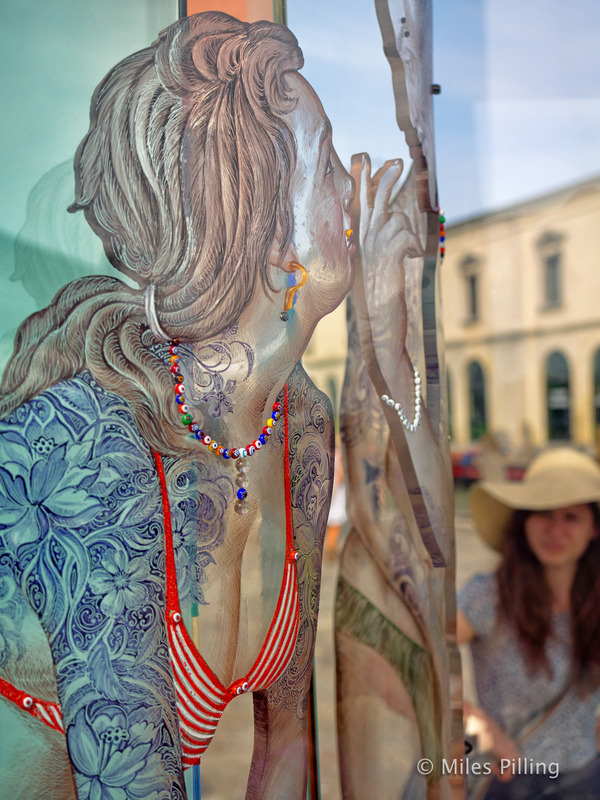 Happily after a couple of minutes an attractive lady appeared from behind this beautiful Murano glass street sculpture. 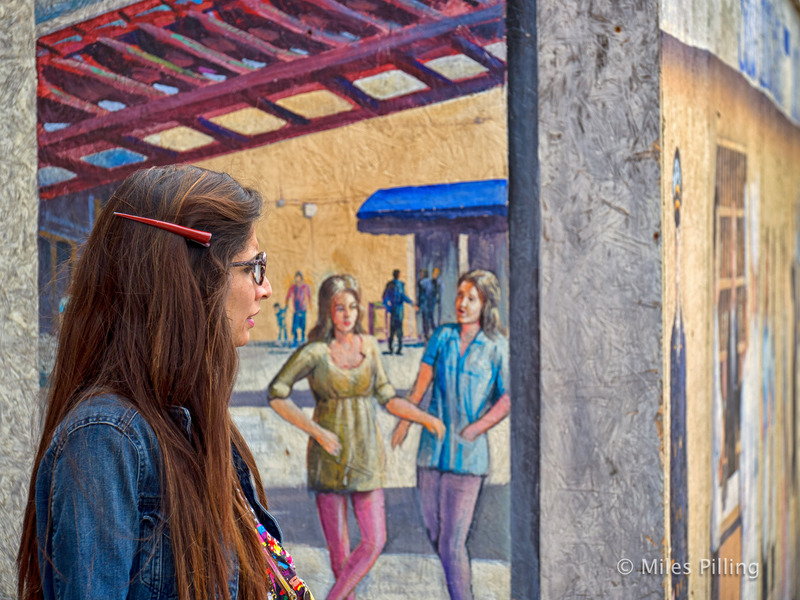 …and this looked to me like an imaginary 3 way conversation at a colourful Venetian street mural! 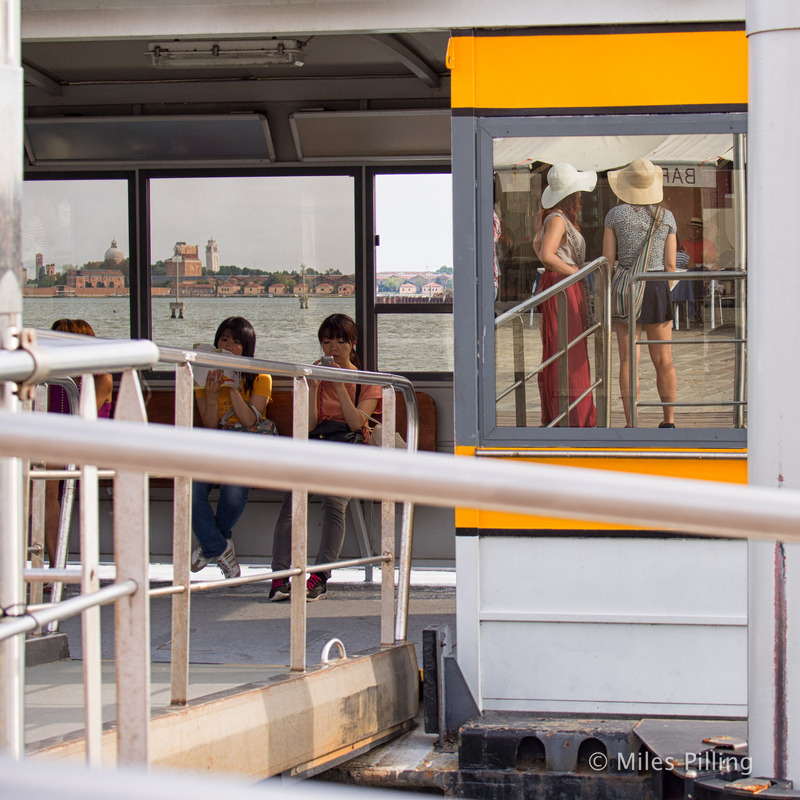 All of my Venice pictures were taken using two Olympus mirrorless cameras – an OMD EM1 with 12-40mm f2.8 lens and OMD EM5 with Panasonic 35-100mm f2.8. I have found them to be an ideal camera combination for travel photography. The pictures in this post were all taken with the EM1 and 12-40mm 2.8 lens.